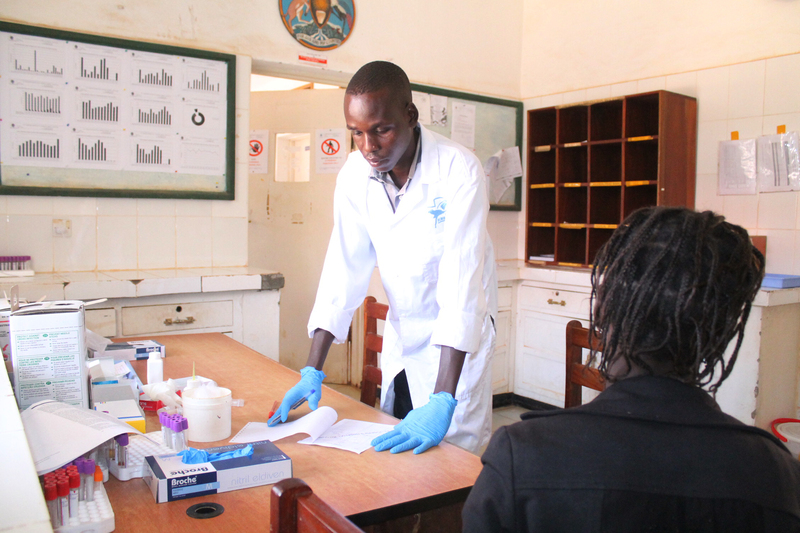 To provide quality services to the clients, the laboratory aims at giving clinicians the assurance that all investigations carried out are the best and results are given out in the shortest time possible. We offer a 24-hour service without extra charge for work outside normal office hours. St. Joseph’s Hospital laboratory’s mission is to provide services with ultimate love, care while ensuring both safety and comfort to the patient. Well organized reception for receiving visitors and sampling patients, issuing specimen containers and receiving the specimens. This section analyses various body fluids for bacteria or parasitic infections such as TB and Typhoid. 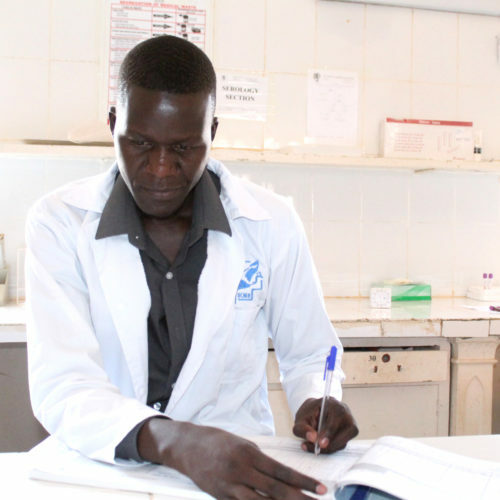 Techniques in this section also help to determine which drugs will help cure the infections observed. Culture and susceptibility tests for various microorganisms from a wide variety of clinical samples including aerobic & anaerobic bacterial culture, fungal culture. A wide range of antigen detection tests providing rapid diagnostic solutions such as cryptoccocal antigen and bacterial antigen in CSF. Stool concentration techniques help to identify some parasites such as cryptosporidium isospora belli etc. In this section we also have Bio-safety cabinet for processing sputum and oxygen incubator for culture. 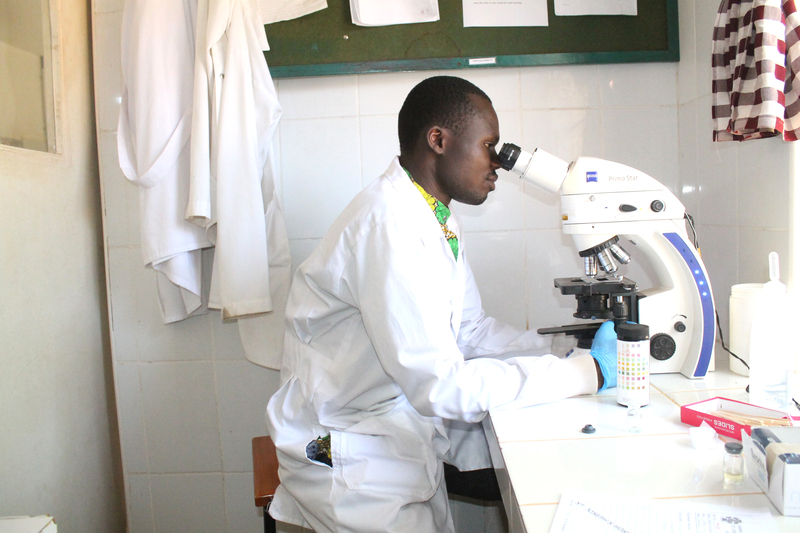 However, how challenges in this department is developing a mycology section much as we are able. Contains blood bank refrigerator with organized compartments, there is also space for local donations of blood. This section deals with tests for blood disorders such as anaemia, Leukemia, sickle cell disease and parasitic infections in the blood. Haematology also includes blood grouping and screening for hepatitis, HIV, malaria and also deals with all aspects of blood transfusion. Contains machines like Humacount (for full blood count), Hot air oven, staining sections and well-organized microscopes for examinations. This contains all the reagents/test kits for most of the serological investigations and orbital shaker for rocking other tests which requires rotations. This section deals with chemical analysis of blood and other body fluids. This includes assessing kidney function tests, liver function tests, lipogramme, blood sugar electrolytes, amylases, etc…. This has vital equipment like CD4 Guava Technologies Inc machines, photometer with 57 parameters for biochemical tests; water bath incubator and a heat block. 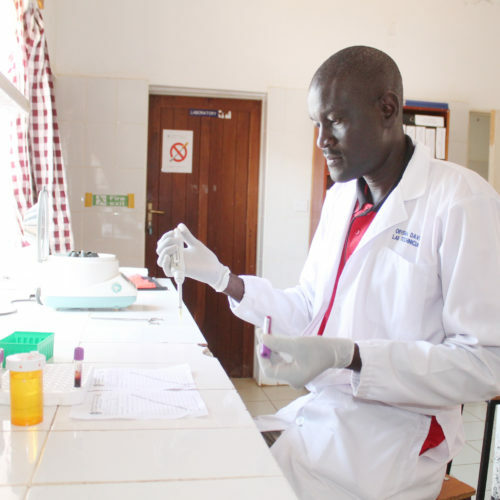 This department is yet to be fully developed though the hospital is able to perform some of the immunological investigations such as CD4 counts. 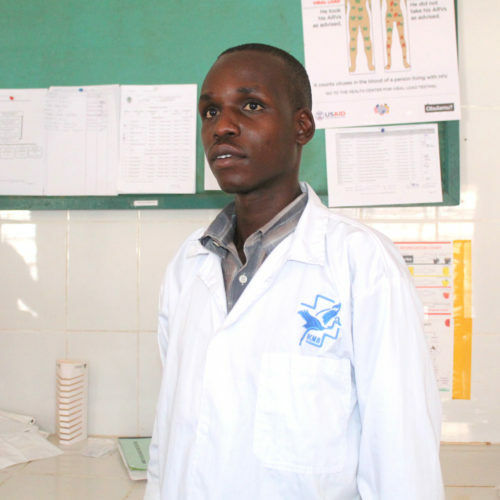 The laboratory has well trained staffs from the level of lab assistance to lab technicians. The staffs are able to perform all the tests following SOPs and there is also continuous medical education (CME) organized internally by the lab in-charge weekly to improve on quality of services. The laboratory is also involved in training of students who are for their practice from various schools e.g. 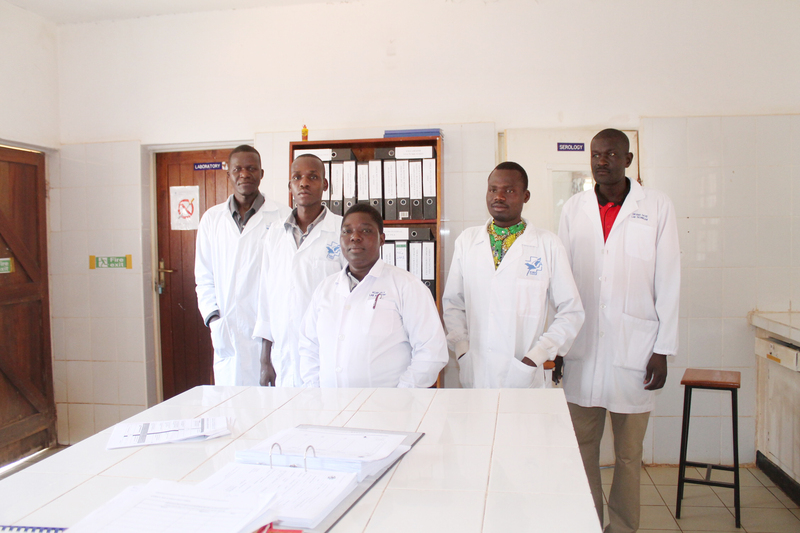 students from Lira Medical School of Laboratory Technology.